The protein-rich breakfast staple, which has enjoyed an astronomical ascent in recent years, is being replaced by a new form of dairy. 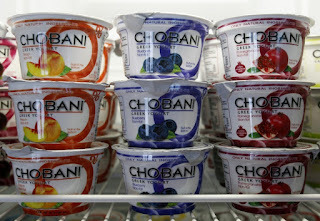 The latest fad: Yogurt drinks, according to a report by research firm Mintel. 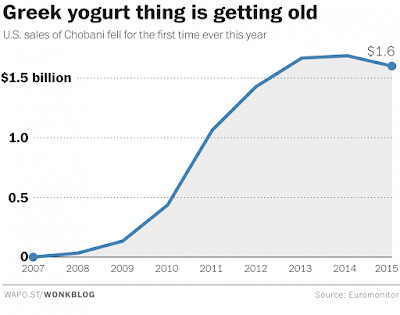 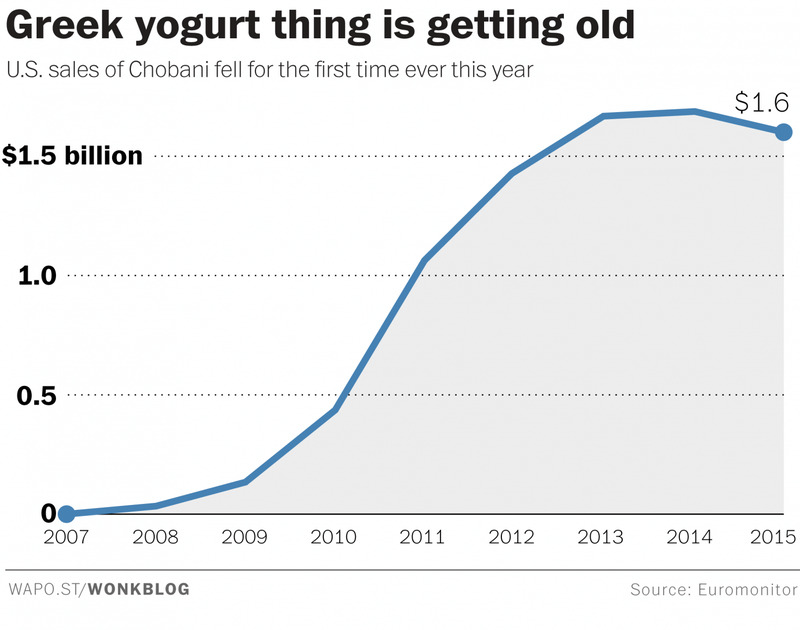 Meanwhile, year-over-year sales of traditional forms of yogurt have been sliding since 2013.